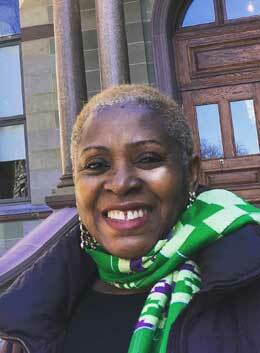 Dr. Afua Cooper is the 3rd James Robinson Johnston Chair in Black Canadian studies at Dalhousie University. She holds a Ph.D. in Black Canadian history from the University of Toronto. A multidisciplinary scholar and artist, her expertise includes African Canadian history and culture, gender, slavery, abolition, and freedom, Black orature, and education. She has conducted research on Black life and culture all across Canada, and internationally. Her co-authored publication We’re Rooted Here and they Can’t Pull Us Up: Essays in African Canadian Women’s History won the Joseph Brant prize for the best history book. Her ground-breaking book on Canadian slavery, The Hanging of Angelique: The Untold Story of Slavery in Canada and the Burning of Old Montreal was nominated for the Governor General’s award. She also received the Harry Jerome Award for Professional excellence, and was featured on SSHRC’s website for her work on African Canadian history. An academic leader, she is the founder of the Black Canadian Studies Association, and the Dalhousie Black Faculty and Staff Caucus. Afua also created the Black and African Diaspora Studies Minor at Dalhousie, making it the first of its kind in a Canadian institution of higher learning. In April 2018, Afua was installed as Halifax’s Poet Laureate. She is an accomplished poet and novelist who has published five books of poetry, including the critically acclaimed Copper Woman and Other Poems, and two historical novels. Her creative works have been recognized with national and international awards. In Feb. 2018, Prime Minister Justin Trudeau recognized Dr. Cooper as one of the women, through her work in Black Studies, who are changing Canadian society for the better. Thirty-Year old Kobra Rahimi is a Kurdish-Canadian lawyer. She lived the first 14 years of her life at a refugee camp in Iraq. Since arriving in Canada, Kobra has committed herself to turning her family’s struggles into opportunities to be a positive addition to the Winnipeg community. She was selected as one of Manitoba's Future 40 Under 40 in 2018, a celebration of future leaders and change-makers shaping the future of Manitoba. Passionate about higher education, Kobra completed her degree at the U of W and then moved on to study law at the University of Manitoba. She received the Emerging Leaders Award for displaying exceptional leadership qualities within the university community during her studies. Kobra regularly speaks at various community events about her family’s story of displacement, loss, finding of home and stability in Manitoba. She was a guest speaker at the Annual Holocaust & Human Rights Symposium and spoke alongside Lawrence Hill in an event hosted by CBC. 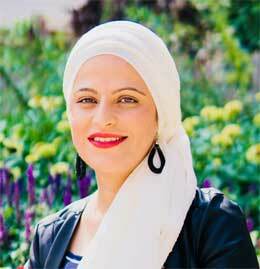 Through her accomplishments, advocacy and daily work, Kobra wants to inspire young newcomer refugees. 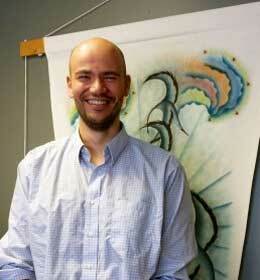 Graham is an Associate Professor in the Department of Criminology at Ryerson University. He holds a B.A. (Hons) in History and Philosophy from York University, a J.D. from the University of Toronto, an LL.M. from Queen's University, and a Ph.D. from Osgoode Hall Law School. His doctoral studies focused on the impact of international and comparative human rights on the Canadian security certificate regime. Graham is a member of several research teams, including the Canadian Network for Research on Terrorism, Security and Society’s SSHRC Partnership Grant (Co-Applicant) and a SSHRC Insight Grant on the intersection of security, irregular migration and asylum (Co-Applicant; Prof. Idil Atak, PI). He is also conducting a legal and empirical study of “sanctuary city” policy in Toronto (funded by the RBC Immigrant, Diversity and Inclusion Project), in collaboration with Drs. Idil Atak, Michele Manocchi, and Charity-Ann Hannan. Finally, he is studying the use of secret evidence in Canadian courts with Dr. Daniel Alati (funded by the Foundation for Legal Research). Graham teaches courses on criminal law, criminal courts, the Charter of Rights and Freedoms, and an experiential "criminal law in practice" seminar, in partnership with lawyers Chris Chorney, Apple Newton-Smith, and Jason Gourda.